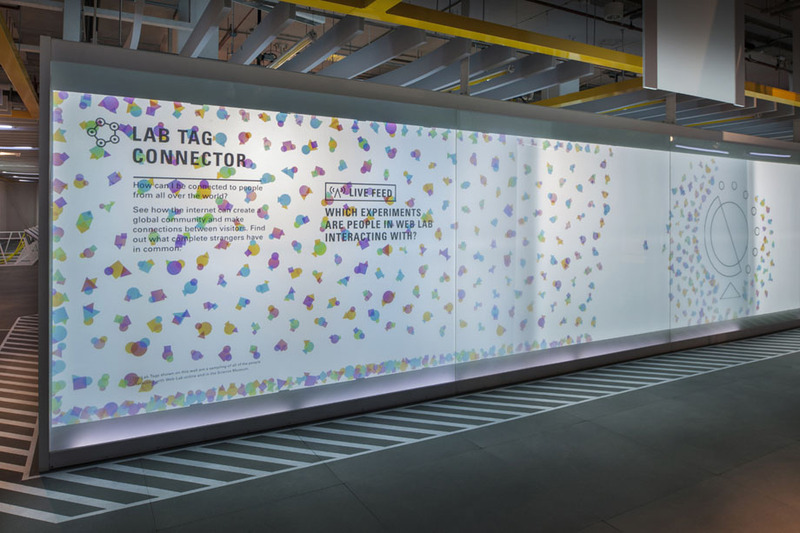 “Web Lab [was] a groundbreaking, year-long exhibition, featuring a series of interactive Chrome Experiments that bring the extraordinary workings of the internet to life. The Web Lab project took several years to complete, and it was a life-changing experience for me. Millions of people experienced it online, and over 500,000 people experienced it live in the London Science Museum. All of the robotics, cameras, and musical instruments in the Web Lab were used 24/7 for one year. The key ingredient to making Web Lab a success was effective collaboration–internally at Tellart, with our client, with the museum, and with all of the numerous design, fabrication, and project management partners along the way. Although each member of the team was crucial, there is not a single aspect of the Web Lab that was conceived or built by one person. As lead Engineer, my responsibilities changed as the project evolved. In the beginning, I worked with the Google marketing team and my Tellart teammates to envision the project and guide our vision towards something that could be built–as much design strategy as it was engineering. I helped come up with wild ideas, research their feasibility, and weigh each idea’s potential effect on budget, schedule, and labor time. In the prototyping phase, I helped decide what aspects of each idea needed testing and how to build the working model. In some cases, we discovered that the original idea was just not working. In other cases, very little changed. 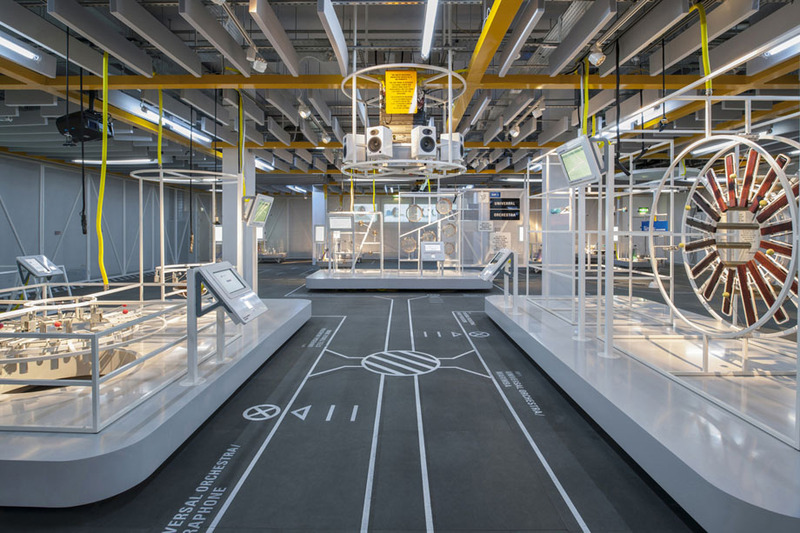 Each prototype was tested with the public in a science museum, so we really had a chance to vet the ideas and find the pain-points in their engineering. In the production phase, I wore a lot of hats. I helped estimate final budgets and figured out how to fit our goals into the actual budgets available. I helped newer programmers and engineers devise, implement, and test our solutions. I created master documentation of all the necessary devices and how they were to be connected. And, for quite a while, I was hunkered down with a big repository of code, hacking away. Finally, I helped stress-test it and get it ready for the public, and led our hand-off to the museum staff for maintenance. In the end, watching thousands of school children make music and play with robots that we built was pretty special. The interior of the space was designed and fabricated to support our vision. 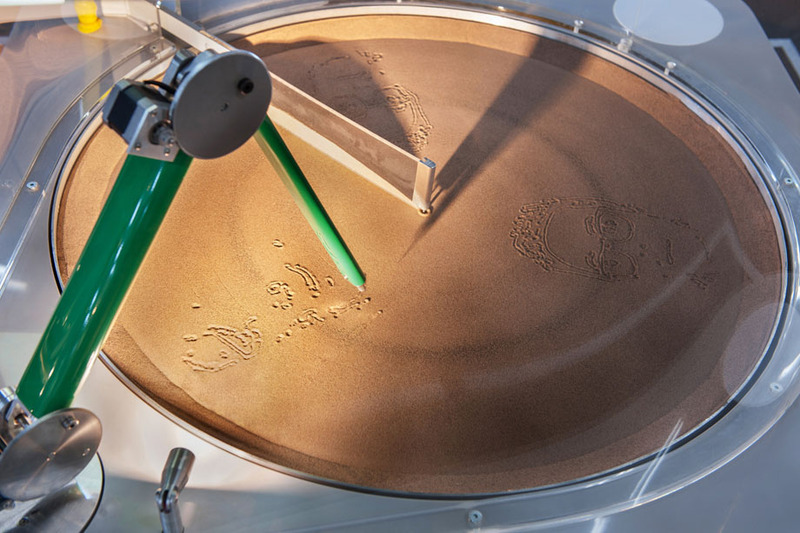 One of my most critical tasks once we were in London was to program and test the sand-drawing robots. We built the eight robot arms from scratch, using bike parts, machined aluminum, and industrial motion-control hardware. 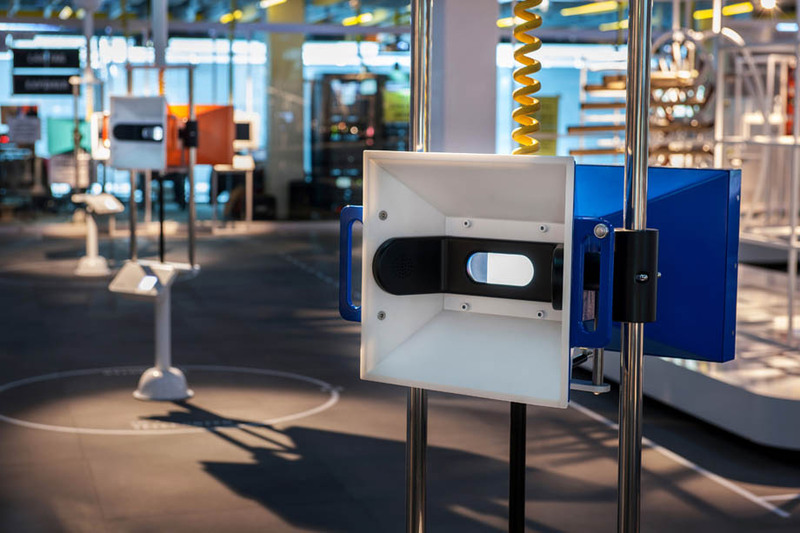 Each robot had two live streaming cameras to capture its movements and upload them to the web. The universal orchestra was like an internet-ready gamelon. I helped develop the concept, including an interface that helped people understand and work with the latency inherent in online musical collaboration. It's hard to see in the photograph, but the "Datatracer" was projected on a 3D map of the globe. Using the interface, you could see where files on the web were stored, and you could follow a path through the internet from the museum to the file. These 'scopes showed you live 360 degree video from locations around the globe. During concept development, I helped research, source, and test the technology that made this possible. Each visitor to the weblab, physical or virtual, received an "lab tag" with a unique grapic on it. 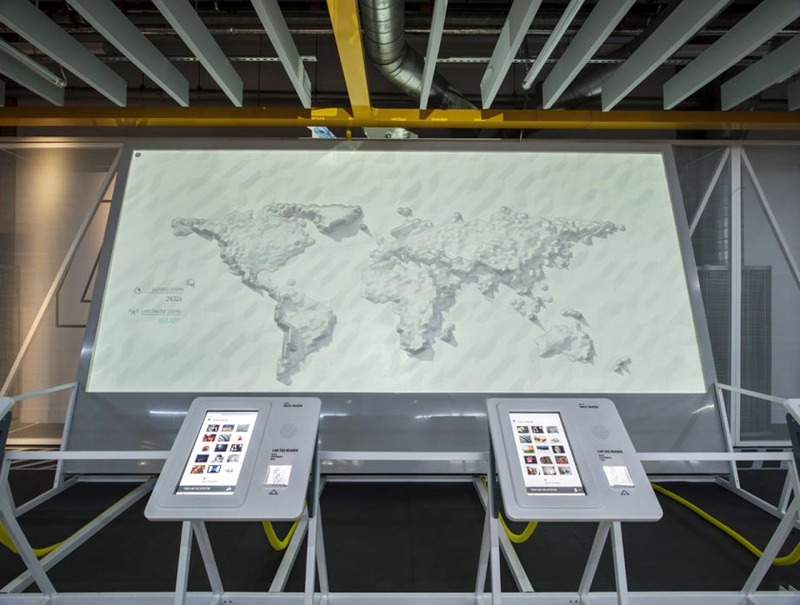 The "lab tag connector " showed various statistics about the Web Lab's users on a dramatic rear-projected surface traversed by an enormous plotter. 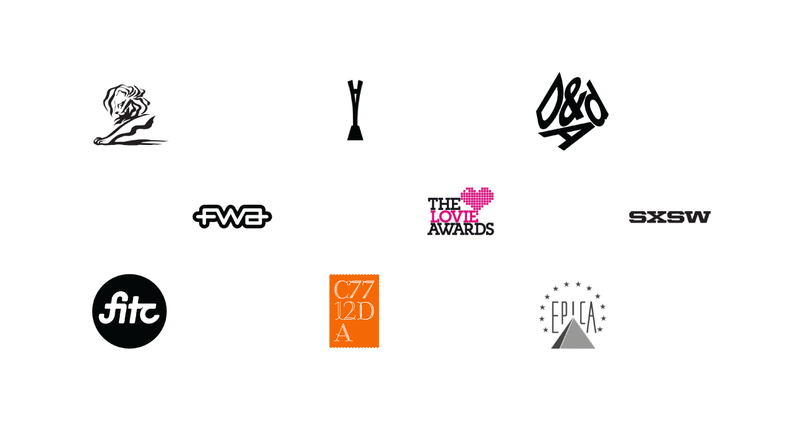 The Web Lab received awards from numerous organizations, including Cannes Lions, Core77, Epica, The Lovies, FWA, SXSW, D&DA, FITC, and more.